FQB "Lavender" Collection evokes that feeling of a soft and luscious field of beautiful flowers....the sights, the smells and the delights! 3 Well arranged circle tags that we're sure you'll want to use. Such interest in these digital elements! 3 Blank journal strips with diamonds flanking each side. What dazzling words will you write in?? 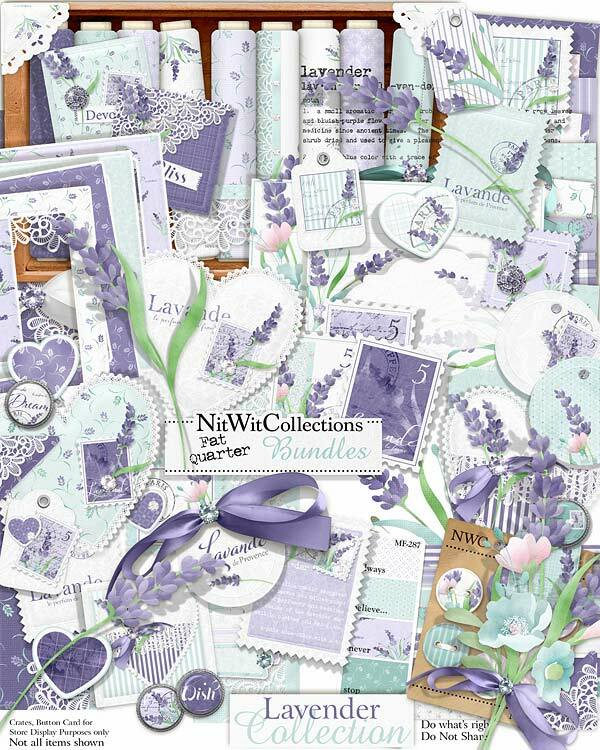 1 Lavender stamp with the definition of this pretty flower. Use it anywhere on your cards, mini albums and layouts! 8 Photo corners in two different styles and colours. You don't have to use them just for photos...check out our card making idea above to see how we used them on a card! 6 Sachets to suit so many design styles. Simple elegant ones, more elaborately embellished ones and some that lean to the cottage chic. Which one grabs you?! 3 Stamp digital elements that really evoke a memorable feeling....remember when you used to receive a letter or card in the mail? ?